Mobile is not just a medium of communication but also a medium of earning revenue. If you are wandering how then Recharge Solution gives you the best answer. You can earn by recharging prepaid account of your customer’s prepaid mobile, DTH and data card by sending an sms through your mobile phone. We bring to you a very economical mode of transaction through our sms based recharge api. It is economical because you do not require heavy investment. All you need is a mobile phone and unlimited SMS pack. Just send an SMS and recharge the prepaid mobile, DTH and data card. The normal sms rates apply and recharge can be done anytime from any place. For mobile recharge we cover operators like Aircel, BSNL, Idea, Reliance GSM, Reliance CDMA, Virgin, Vodafone, MTS, TATA Indicom, TATA DOCOMO, Loop, Videocon and Uninor. DTH recharge service is provided by us in respect of service providers like Dish TV, Reliance Big TV, Sun Direct, Videocon D2H and Tata Sky. While our Data card recharge service covers the major players like Aircel, BSNL, Idea, MTS, Reliance and Tata. 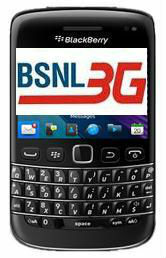 Recharge All Mobile/DTH/Data-card just by using single SIM. Once you create account with us then you can register your mobile/SIM with us by clicking "My Account">"Interactive SMS Setting" and also create you PIN there. Once you Register your SIM/Mobile with your account you can use SMS based Recharge as well as GPRS and Android application also.